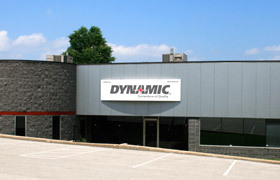 Dynamic Sales Co., Inc. is a Christian, family owned, business, established in 1966. We are the Cornerstone of Quality, setting the industry standard for Contractor & Industrial Supply Solutions through Service, Quality, Commitment, Integrity – the four points of our star and our pledge to our business partners and community. Our quality products and superior service help us maintain our position as an industry leader. By keeping a well stocked warehouse and using JIT inventory control, we are able to supply our customers with time sensitive deliveries, ensuring our customers the support and service they expect. In our third generation, we continue to offer quality products, value-added service, and competitive prices. 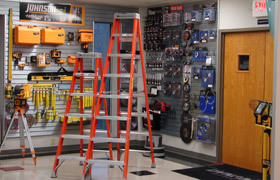 As a Specialty Tool and Fastener Distributor, we feature complete lines of Anchoring Systems, Steel Fasteners, Drilling & Cutting Solutions, Diamond & Abrasive Wheels & Blades, Power Tools, Hand Tools, Hydraulics & Pneumatics, Material Handling, Personal Protective Safety Products, Painting & Marking Supplies, Power Cord Products, Lighting, Lasers, Batteries, Bit Tips & Accessories, and more. Dynamic Sales Co., Inc. is committed to serving and meeting local community needs. Through our faith, faith based missions, LIONS Club, National Federation of Independent Businesses (NFIB), Specialty Tools and Fasteners Distributors Association (STAFDA) and other community/ business organizations, Dynamic Sales Co., Inc. is meeting its commitments to the community. 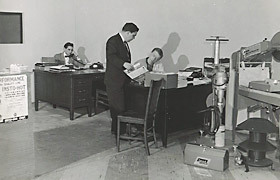 Dynamic Sales Co., Inc has been an active NFIB member since 1970. Our current president serves on the Missouri Leadership Council and the National Leadership Trust. For more information on NFIB visit www.NFIB.org. Dynamic Sales Co., Inc. is a founding member of the Specialty Tools and Fastener Distributors Association (STAFDA), and actively promotes the benefits of membership. Our founder wrote STAFDA’s constitution & by-laws in 1975, and we continue to be involved at the regional and national level. For more information on STAFDA visit www.stafda.org. To find out more about the products and services our company offers, click any of the links above. If you have any questions that we can answer, let us know! We would be happy to assist you in making your visit a satisfying one. Our humble beginnings at 8610 Natural Bridge. Wayne’s bowtie was the start of our unique brand that separates us from the competition. 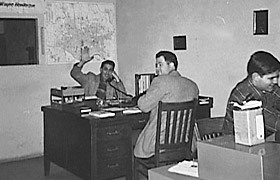 Wayne waves while closing another sale. 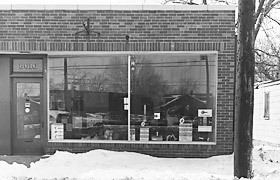 Our showroom and warehouse at 9419 Koenig Circle. Dynamic Sales showroom is open Monday through Friday from 7:30am – 5pm. 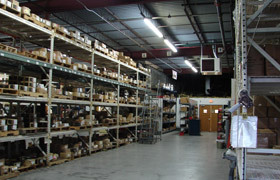 Aisle one of our fully stocked warehouse.